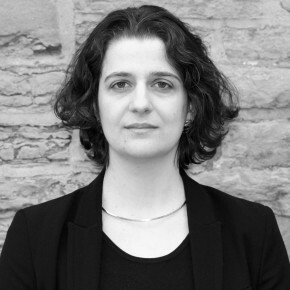 Leila Marie Farah is an Assistant Professor at Ryerson University’s Department of Architectural Science and a registered architect in Paris, France. She holds a professional degree in Architecture from l’Ecole Nationale Supérieure d’Architecture Paris-Malaquais, a M.Arch and a PhD from McGill University. Her research focuses on architecture and ecological design. Since 2004, she has been working on urban agriculture projects and was part of the lead team awarded the 2008 National Urban Design Award for the innovative project “Making the Edible Campus” by the Royal Architectural Institute of Canada/ Canadian Institute of Planners/ Canadian Society of Landscape Architects. She has widely published on the topic of food and design, including co-editing as a guest a special issue of Open House International titled “Designing Edible Landscapes.” Her design work has been exhibited in France, Italy, Canada, the USA and in 2015, “Vivarium,” the team project she led received an honorable mention from an international idea competition. In addition, her work has been recognized through a Sauvé Fellowship, a McGill Engineering Doctoral Award, a Jonathan King Medal, and a Canadian Centre for Architecture Collection Research Grant. Between 2005 and 2011, Leila Marie was a member of a McGill-based research unit and sought ways to increase the sustainability of cities through community participation, urban agriculture and design. As a result of this work, she received a research grant from the International Development Research Centre for “Paysage Solidaire” as well as the 2008 National Urban Design Award in the category Urban Fragments for the innovative project “Making the Edible Campus” from the Royal Architectural Institute of Canada/ Canadian Institute of Planners/ Canadian Society of Landscape Architects. Her projects have been exhibited in Paris, Italy, Turkey and Canada. Since 2009, when she taught a seminar entitled Sustainable Design at McGill’s School of Architecture, Leila Marie has been teaching integrated and interdisciplinary courses with architecture, engineering, interior design and planning students. Her dissertation focused on the correlation between food and architecture. By combining those two fields, she seeks to enlighten spatial relationships beyond visual aspects and contribute scientifically to her field. At Ryerson, Leila Marie is a member of The Carrot City Initiative that examines how design at all scales can enable the production of food in the city. It explores the relationship of design and urban food systems as well as the impact that agricultural issues have on the creation of urban spaces and buildings as society addresses the issues of a more sustainable pattern of living. Leila M. Farah focused on ecology and design. More specifically on the nexus between urban agriculture and architecture. She was mentored by Professor Vikram Bhatt and she also contributed to his pioneer research. On February 17, 2016, Leila presented her public exhibition On Urban Metabolism at Sauvé House. By exploring how refuse is linked to architecture and landscape, this exhibition aims to differentiate, map and represent aspects of organic waste trajectories related to Toronto and their relationship to urban spaces. This exhibition also presents an original proposal where buildings could serve as ecosystem re-generators and rely on urban wastes. The setting of the Sauvé Program was very constructive and the freedom and flexibility it offered has been exceptionally enriching.